The years between 1955 and 1965 marked a seminal moment for American culture. 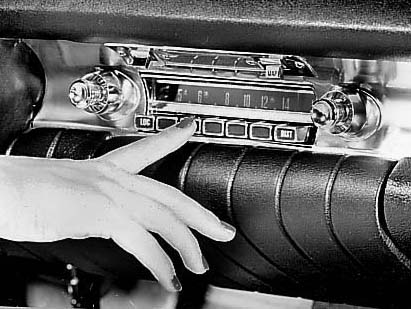 Traditional narratives, both in academic work and in popular representations like American Graffiti, have focused on this as a moment of newness – the rise of the teenager, the creation of rock and roll, the transistor radio. Prominent in this picture is the car, in particular the car as a focus and locus of music, and as a symbol of cultural capital. Yet many of the elements of this story, and especially those which reinforce the car’s centrality, had an existence which pre-dated their employment in this context. That epitome of car culture, hot rodding, dated from the 1930s; music poured from car radios which had been available in some form since the 1920s; and even songs which reflected car culture had a long history – Chuck Berry’s 1961 hit Route 66, for example, reprised a Nat King Cole number from 1946. This paper therefore seeks to examine the moment of rock ‘n’ roll not as one of newness but instead as one of convergence, of bricolage and of reappropriation. We consider the histories of the various technological and musical aspects of the construction of rock ‘n’ roll culture, which were intertwined during the period and later valorised in a number of nostalgic depictions. In doing so, we situate the association of cars and music, so popular in histories of rock ‘n’ roll, in a continuum of history, shedding light on the social and culture pressures which drove the gradual convergence of mobility and entertainment. Developed and produced by Dr Nick Webber from an original idea by me.